Maybe it's the "Madden Curse", but the drama surrounding Peyton Hillis' contract situation is thick. 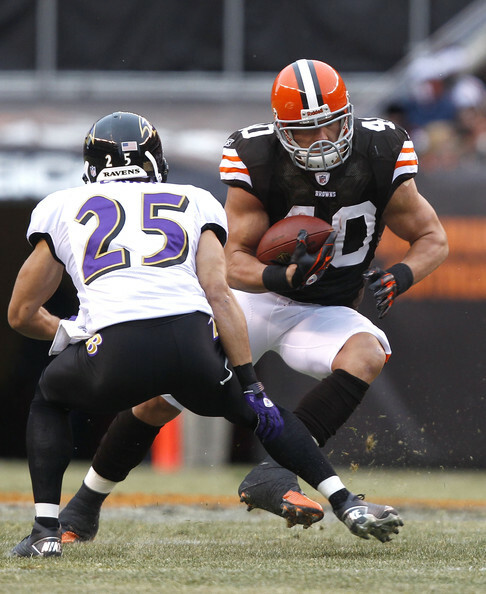 Hillis should be the go-to guy in Cleveland's offense, at least for now. Through the first four games of the 2010 NFL season, Peyton Hillis had rushed for 322 yards on 66 carries and already had 4 touchdowns. For his accomplishments, Hillis was voted as Madden 2012’s cover boy by the fans. Peyton Hillis was finally making a name for himself. Peyton was drafted in the seventh round of the 2008 NFL draft by the Denver Broncos. He played his college ball at Arkansas, where he paved the way for Felix Jones and Darren McFadden. Following last season, it appeared that Hillis was finally being talked about as a solid number one running back, in the same breath as Jones and McFadden. Hillis is still being talked about, and he’s still the number one guy in the Browns backfield, but the question now is… For how long? Through the first four games of the 2011 season, Hillis has played in only three games, and has totaled 197 yards on 54 carries and 2 touchdowns. Cleveland’s number one tailback, missed a game against the Miami Dolphins, reportedly because of strep throat. You would think that a player with Hillis’ style of play, would be given a break, if he was sick, for at least one game. I mean, his agent even advised him to sit out the Miami game, so why wouldn’t he? Since that game, Hillis’ future with the team has come to the forefront of the media’s attention in Cleveland. Hillis has watched everyone around him sign contract extensions, even linebacker Chris Gocong got one. So what’s taken Mike Holmgren and Tom Heckert so long to extend Hillis? There’s a thousand rumors as to why Hillis missed the Miami game, most notably the one where he sit the game out because of his contract issues. In my opinion, Hillis doesn’t really fit Cleveland’s version of the west coast offense. I think the Browns’ front office truly believes that Montario Hardesty is a better fit in the offense over Hillis. Who cares if he came close to setting the NFL record for most drops in a game, right? How can the front office be so sure Hardesty can stay healthy? We sort of know why the front office was so high on Hardesty last year, but I’m not ready to nix the injury theory just yet. Hardesty played well in place of Hillis against Miami, but he looked like a rookie against the Titans. Injuries plagued Hardesty in college, and his first year as a pro was missed due to injury. In other words, he has a history of injuries, and in a league where backs have a short shelf-life anyway, that’s not good. According to statistics, the offense performs better when Hillis is the main feature. Colt McCoy threw the ball 61 times last week against the Titans…61! Who does he think he is, Tom Brady? Peyton Manning? Play selection is critical for success in the NFL and so far this season, Pat Shurmur looks as if he has taken on too much as a first year head coach. Cleveland’s highest number of running plays came against the Indianapolis Colts. In that game, Shurmur called 34 running plays and 32 passing plays. The result, a 27-19 win that wasn’t even really that close. In comparison, against the Titans, Shurmur called 61 passing plays, and only 22 run plays. The result of that one, a 31-13 blowout at the hands of Tennessee. If you want to succeed right now, the offense needs to run through Hillis. It’s Hillis, not Hardesty, deserves the bulk of touches. Peyton Hillis doesn’t drop the ball. Fumble, maybe, but he catches the damn ball. It was agonizing watching Hardesty drop all those passes against the Titans. While Hardesty was pulling his best Braylon Edwards impersonation, I kept yelling at anyone that would listen, “Hillis doesn’t drop the ball!”…followed by words not meant for younger readers. Hardesty was thrown to nine times in the Tennessee game, catching five and dropping four. Hillis, on the other hand, was thrown to six times, catching five. If anyone deserved to be the primary back in the key situations during the game, it was Hillis, not Hardesty. Hillis is not the long-term answer for the Browns. As good of a player as Hillis is, I don’t believe he’s the answer moving forward for the Browns at tailback. 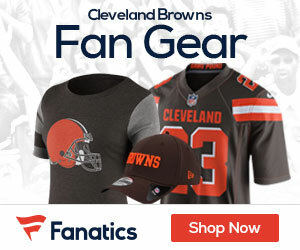 If the Browns want to be successful in 2011, I think Hillis is the answer, but only because I don’t believe that Holmgren and Heckert have all the pieces in place for their offense and it’s going to take a year or two before the players in place are comfortable with the offense, most notably Colt McCoy. I think the vision of the front office is to have an offense similar to New England’s and Green Bay’s. Neither team really has a featured back, and throwing the ball 40-50 times is the norm. The Saints run an offense that depends heavily on the quarterback and don’t necessarily have a featured back either. Browns starting linebacker and former Saint, Scott Fujita, compared McCoy to a young Drew Brees. Obviously McCoy has a long way to go before he’s on Brees’ level and has a long way to go before he can be relied on to throw the ball a majority of the time. The thing is, I think that’s the direction the Cleveland front office wants to go – to throw the ball more often than not, and run the ball enough to keep the defense honest. Hardesty, if healthy, and Armond Smith better suit the Browns’ version of the west coast offense. Obviously there’s still a need for a fullback, a position that Hillis should know well enough to play. However, I’m not sure that his success as a tailback will allow his ego to make that switch. For now, though, the offense should evolve around Hillis. The Indianapolis game was far-and-away the team’s best game of the year. Hillis only rushed for 94 yards, but he had 2 scores and 27 rushes. He also caught the ball 4 times for 23 yards. McCoy is not ready to have all the pressure of having the offense run through him. He need’s Hillis’ experience and physical style of play to open-up the things he wants to do through the passing game. If the offense continues to be below-average, I wouldn’t be surprised to see the Browns decide to hire an offensive coordinator and delegate Shurmur to strictly head coaching duties. There’s rumors that Hillis is going to demand a trade, that the dispute isn’t about money but in fact, the length of the contract and number of guaranteed years. The fact that Hillis and the front office can’t agree on the length also tells me that the front office doesn’t necessarily see Hillis as the future of the Browns backfield. The problem with Hillis not fitting in our West Coast Offense is that we don’t have a WCO. With McCoy completing over 70% of his passes in his college offense, he should be completing 80% in a WCO. With the Tennessee defense playing back to prevent any scores, McCoy should, by all rights be completing the passes he did. All he did last week was raise his completion %. He did nothing to win the game. And isn’t the bottom line, winning? The Browns go 4-12 on the year but McCoy completes 74% of his passes? 3 of them were over 10 yards. What good does that do us. Personally, I think the biggest problem this year has been Shurmur. What a poor display of play calling last week. On the short passes, McCoy is kind of reminding me of DA. Derek couldn’t hit the short passes over the middle either, but he could throw the ball more than 10 yards. I think we have a better team than we are showing so far this year. Colt has been sacked 3 times this year. Thats right up at the top of the NFL leaders, so the O line is obviously doing it’s job. The receivers aren’t helping alot with all their dropped passes, and the running backs haven’t helped alot either. Hardesty dropping 4 passes last week alone. I see MAYBE another 5-11 season this year, if we catch a break or 2. Otherwise 4-12. Only in Cleveland can this happen. Vickers was allowed to leave and Hillis was supposed to carry the load this season. So, now there is a controversy about the RB? In what universe? Play him and sign him . . . make it a 3-year deal, if unwilling to commit. You certainly are not going to burn a 1st round choice on a RB in 2012 — that looks to be a LB or 2, maybe a WR. RB had a “pile”, remember? Look to add a RB in the mid-rounds next year and possibly look for one in 2013. Sheesh. This sounds like one of those jackasses on ESPN. I used to subscribe to some nonsense written about the Browns by I think a child, and now guess I will have to unsubscribe here also. If you are in Cleveland you should move. Peyton Hillis is one of the best players we have had in ages. Then the comparison to that basketball player (can’t say what I call him).. That made me so damn mad. All you all have no frickin clue what you are talking about as most of the media is guilty of, you just try to get some controversy going on. Shut up and get another job.